Hey, we all love heroes, but let’s let our children meet God’s heroes! 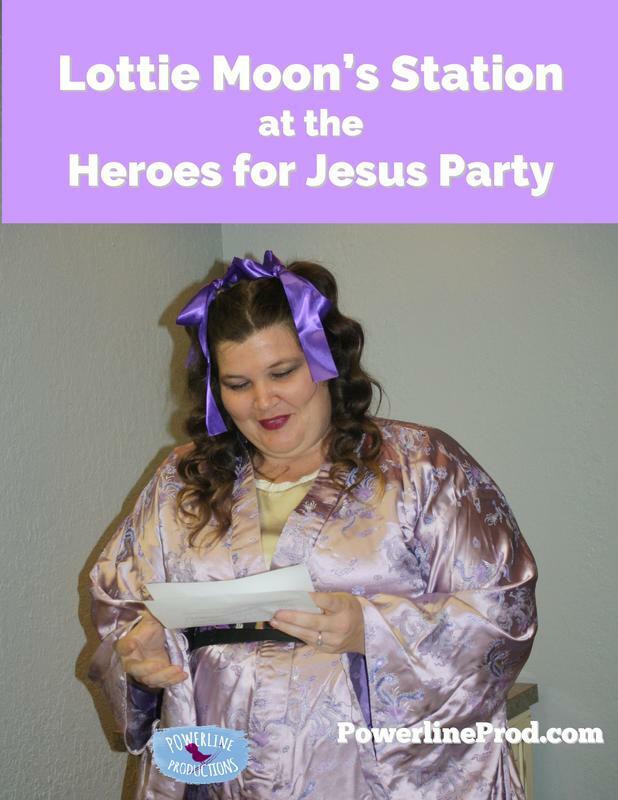 We have celebrated our Christian heritage and history with Heroes for Jesus Parties for years. Everyone always has a grand time! We love making memories while we learn together about mighty men and women who have changed the world for the glory of God! 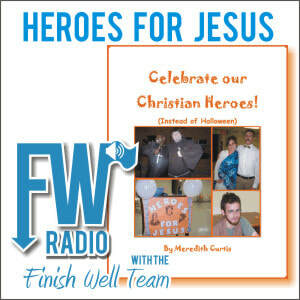 Instructions are given for setting up your own Heroes for Jesus Party, along with monologues and costume suggestions for each hero and heroine. 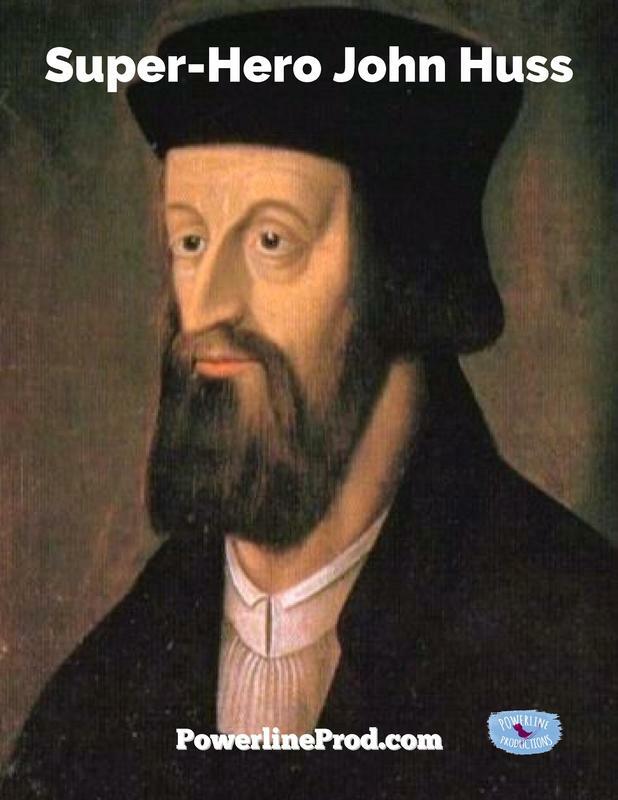 You just need some volunteers to dress up as a favorite church history hero or heroine and stay in character for a couple of hours. There is also a game or activity for each station. 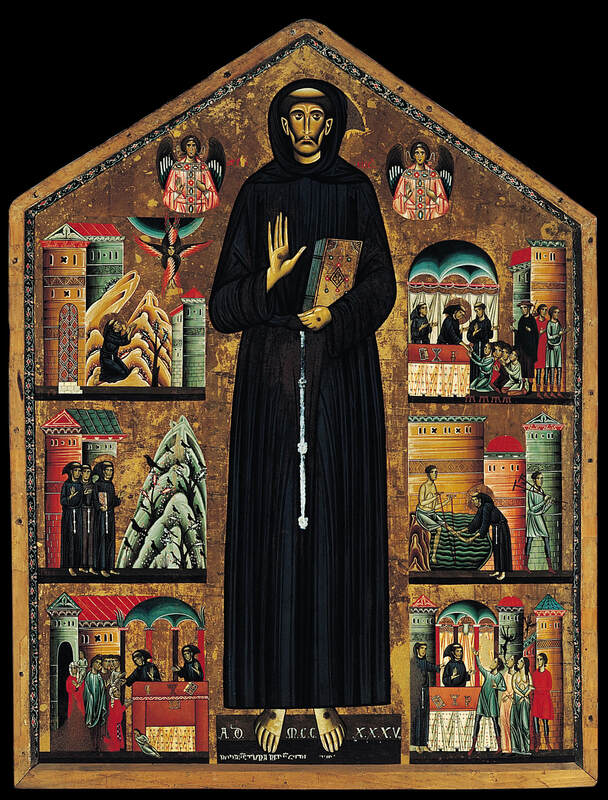 In addition to learning how to have a Heroes for Jesus Party, let’s take a peek at ways to celebrate the Saints and why heroes matter. We will also take a serious look at Halloween. Of course, we have to add autumn recipes to make and bake for your festivities. As a bonus, you will receive the template and instructions to make your own board game: Paul’s Journey to Rome Game. We love this game! It’s easy and fun to put together. You will just need to add dice and purchase some Tootsie Pops. FREE Paul's Journey To Rome Game ​with template/instructions to make your own board game. 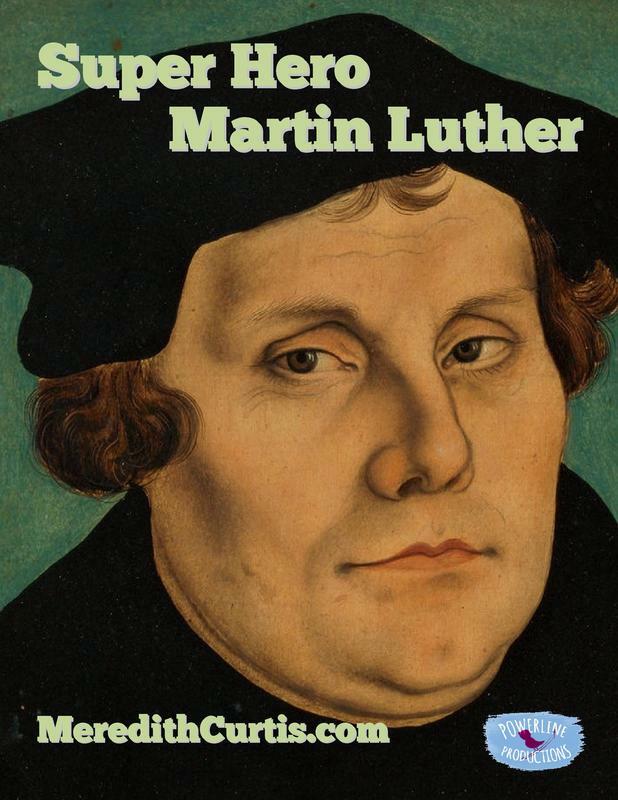 Flyer Samples, Nicene Creed, Luther's 95 Theses, and our Statement of Faith. 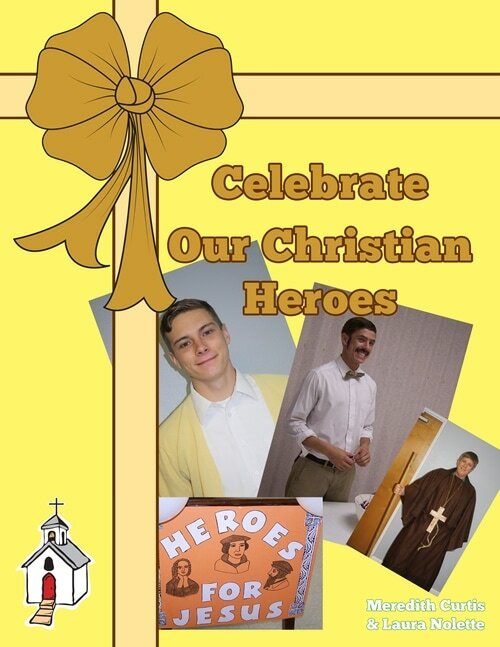 Purchase a Print copy of Celebrate Our Christian Heroes at Amazon. It’s October and it’s time to celebrate all the Heroes for Jesus. Listen in this month to hear why we don’t celebrate Halloween. Hear our teens talk about what a Heroes for Jesus Party is and how much fun they have had participating in and even working at them. 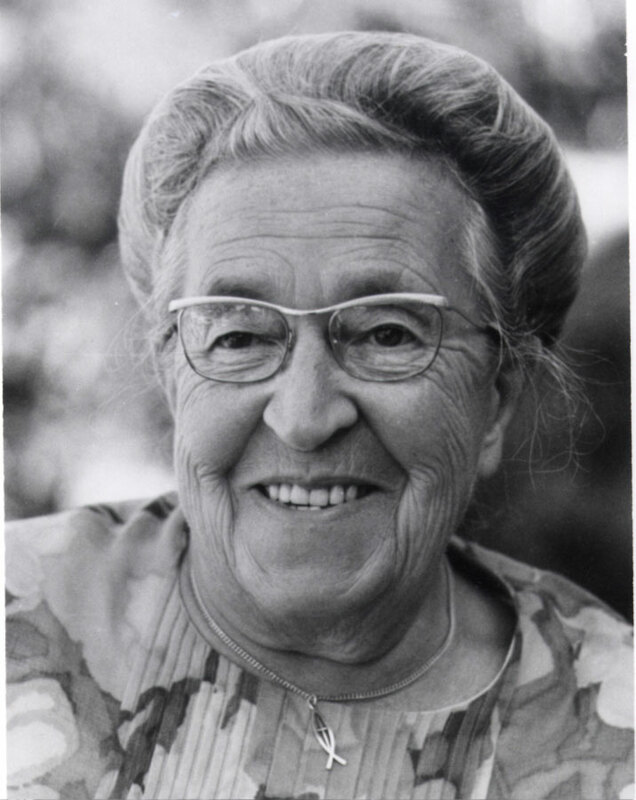 An interview with Polycarp, David Livingston, Amy Carmichael, St. Augustine, Nate Saint, Corrie ten Boom, and Mary Slessor. Travel back in time with the Finish Well team and meet some heroes from ages past. 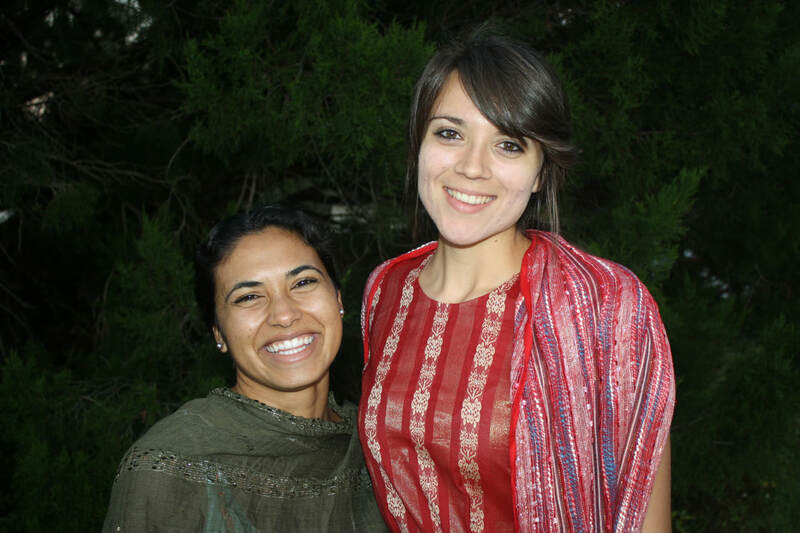 They will share a little bit about their life and give a word of encouragement to the church in the twenty-first century. 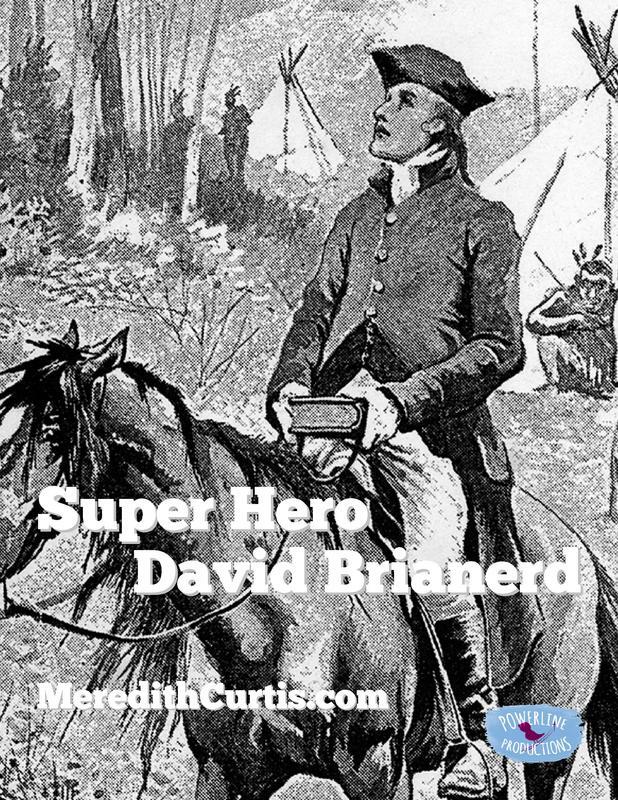 At the end of the show, we will travel back to modern times and learn how these heroes have affected Christians of today. This would make a great presentation at your Fall Festival or Heroes for Jesus party. 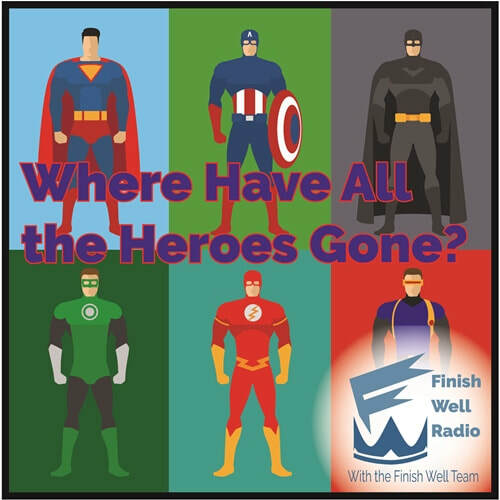 Where Have All the Heroes Gone? 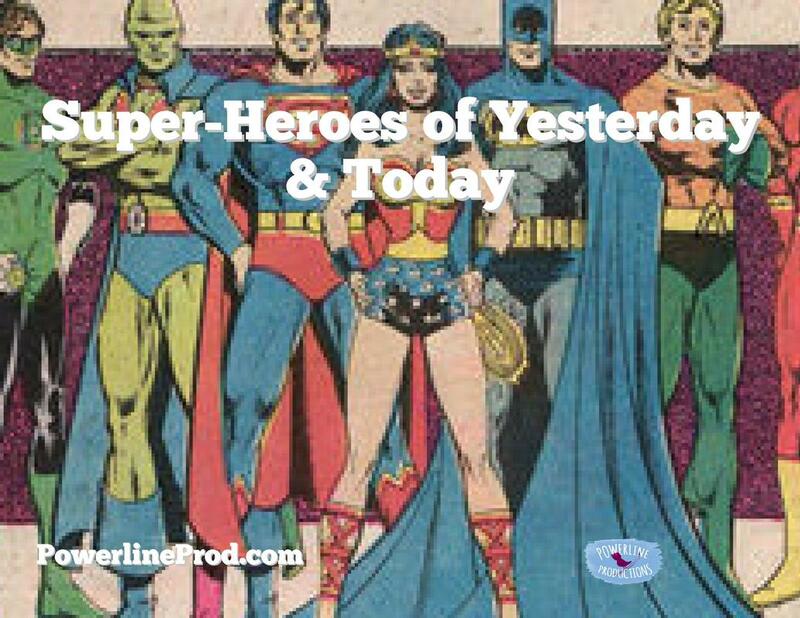 with Meredith Curtis, podcast #052 looks at the fascination with Super-Heroes in today’s culture, how they’ve changed, and why we love Heroes. As a special bonus, six Super-Heroes drop in to tell their story. 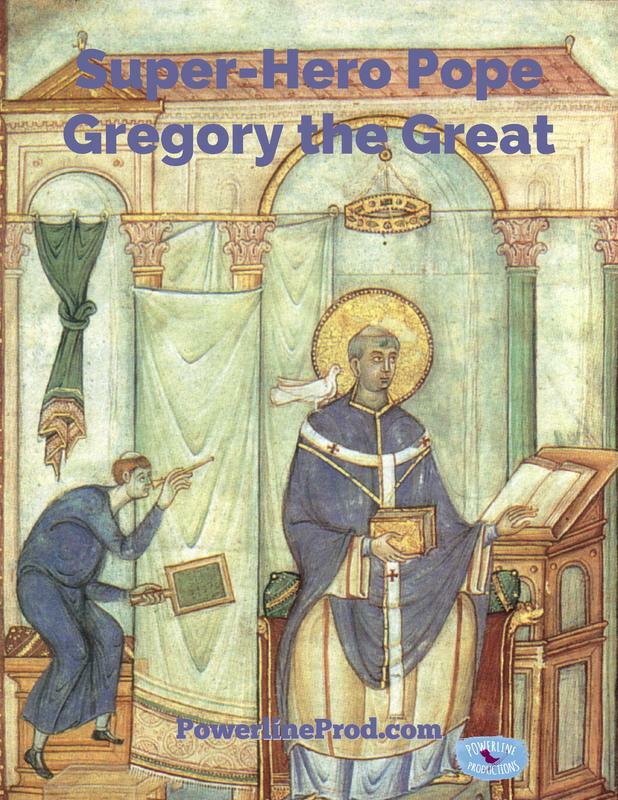 You will meet Pope Gregory, Lady Jane Grey, Lottie Moon, Brother Andrew, Elisabeth Eliot, and Nicky Cruz. 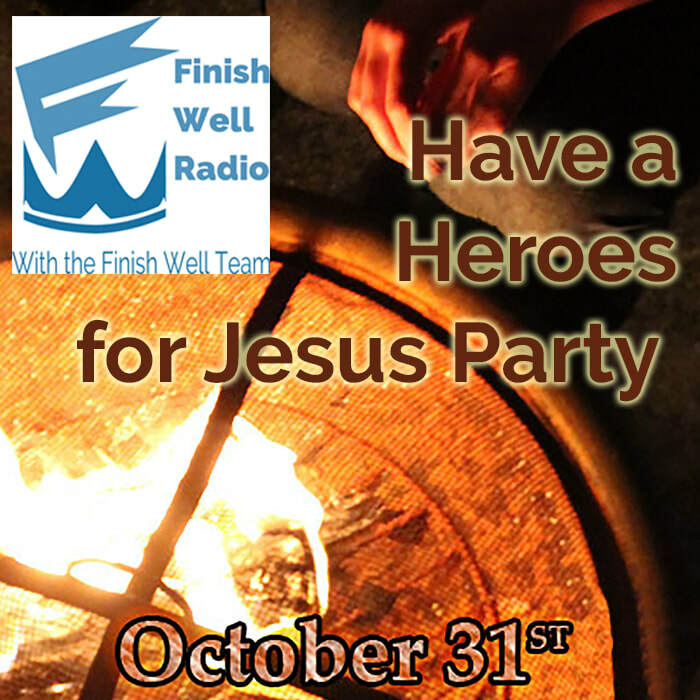 We will end with instructions to host your own Heroes for Jesus Party.